Whether it’s a pet or a favorite family member, losing someone you love is difficult, especially for young children. Because they are still learning about life, many children have a hard time understanding that death means the ones they love are not coming back. Children are also learning how to express themselves and may have trouble expressing their grief in traditional ways. As parents, you can help your children begin to understand loss and learn to deal with it in healthy ways. It is important to be honest with children about loss. Pets and people who die have bodies that have stopped working for one reason or another. Using euphemisms, such as telling children a loved one has “gone to sleep,” can confuse children. If you believe pets or people go somewhere like Heaven when they die, it is OK to share that with children, but because places like Heaven are also hard for children to understand, you must explain the basic facts of life. When children start to understand what death means and that they will not be able to interact with a loved one again, they will start to show their grief. Trying to distract children from their grief by involving them in a lot of special activities or attempting to quickly get back to a normal life may not be best for a child. Instead, allow children to express their grief. 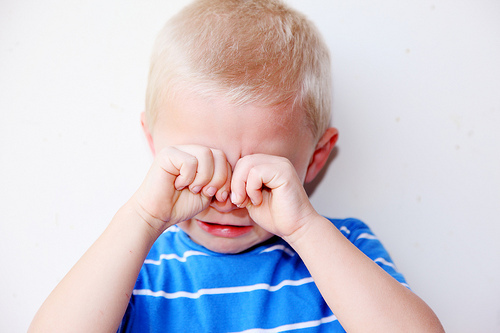 If they are angry or throw tantrums, talk to them about the reason for those tantrums. If they do not show a lot of emotion, do not force them to show emotion, but let them know you are there to answer questions, give hugs and listen. Do not ignore children during times of grief. Instead, answer their questions and be present while they grieve.